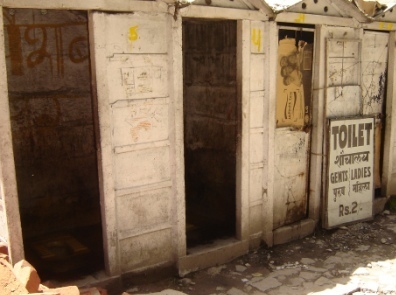 Bihar chief minister, Nitish Kumar, on Tuesday announced that those who do not have a toilet in their home will not be allowed to contest panchayat and urban local body elections in the state. The chief minister who was addressing a function on the occasion of World Toilet Day added that the state government will bring all necessary amendments to the Bihar Panchayati Raj Act in order to ensure this. He also announced that state government will introduce a fund under which Rs 2 lakh will be allocated to each panchayat for construction of toilets. Responding to experts who pointed out some policy gaps in the structure of Total Sanitation Campaign (TSC), a scheme funded by the Central government, Nitish Kumar said that the biggest problem with the scheme is that the allocated amount of Rs 4,600 is paid to the beneficiaries of the scheme only after a toilet has been constructed. He added that he would ensure that the new fund will provide money to villagers during the construction of the toilet itself. In a recent development, Bihar government had allowed construction of toilets under Total Sanitation Campaign by utilizing the funds allocated under Mahatma Gandhi National Rural Employment Gurantee Act (MGNREGA). But it could not be go ahead because of discrepancies in data of number of families below poverty line (BPL) given by the Union and the state government. The Union government has provided funds for only 1.11 crore BPL families whereas the state government claims that around 2.19 crore families in Bihar fall below the poverty line and are eligible to claim these funds. The difference in figures means that nearly one crore families in the state remain devoid of schemes. The chief minister also added that Bihar has been one of the leading states across the country in promoting construction of toilets in households. amazing . I have done an analysis on Nirmal Gram Yojana Scheme . I wanted to share with Down to Earth . Can I please have your contact details and email id .